Since moving to Ireland and leaving my beloved MedX machines behind (Kieser London and Physical Culture), I decided to embrace a minimalist routine. Drew Baye’s Project Kratos was the obvious choice and came highly recommended (Steve Maxwell and Skyler Tanner are big fans). Not only did this make sense because there are no “good” training machines in Galway, Ireland (that I know of), I saw it as an investment in myself: learning a set of skills that would serve me anywhere. Bodyweight HIT, as Skyler Tanner warned me, is incredibly challenging, but would serve me well and is as rewarding as any comparable HIT protocol using machines or free-weights. My bodyweight training journey started whilst I was still living in London. 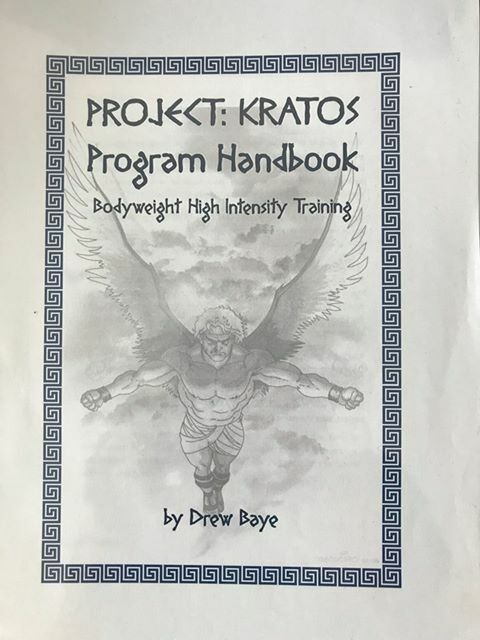 I started doing the standard Project Kratos workout after getting an introduction to bodyweight training from Hillfit. Due to stress (full-time job in IT Sales, Corporate Warrior, “responsibilities”, etc) and being forced to work out in the evening (not a great time for me, I’m a late morning kind of guy), I struggled with the full routine and decided to switch to the condensed Project Kratos workout. Over time, I progressed to the harder versions of most of the exercises (e.g. harder partial chin-ups). Here’s my physique after doing various bodyweight HIT workouts over the course of a year. 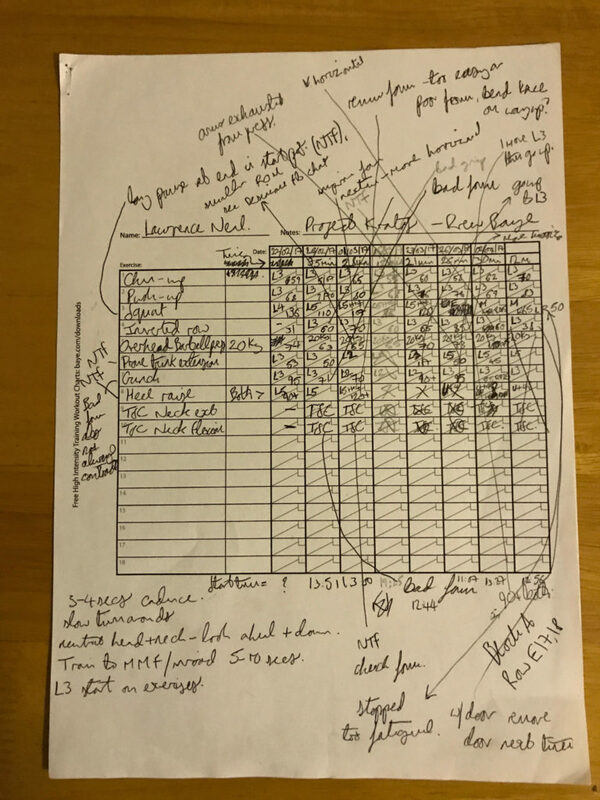 Drew Baye kindly provides workout charts for those that prefer the feel of pen and paper. Mine quickly became a disorganised mess (it’s like a spider has crawled over the page with ink on it’s feet … ). I was still learning exercise form and making notes about every single detail. Needless to say, I prefer a digital method and use Google Sheets. Previously I was doing a bodyweight/machine hybrid workout and substituting pike push-ups for overhead press and inverted rows for seated rows, but now I’ve decided to go full bodyweight. Recently, I did my first Zelus workout. It was horrible. I was horrible. But that’s okay. Bodyweight training is really difficult and it takes practice. And anyone who’s been doing strength training for a long time, knows that any new regime is going to be as hard as hell at first because it’s relatively novel. As you can see, it is not a very impressive performance at all! Drew would be disappointed in me ;-(. I find that exercise novelty can make it hard to reach muscular failure at first but once I’ve improved the skill, I’m confident I’ll be able to get there. You might think that I’m unmotivated after that but I’m anything but. The challenge makes the workouts more exciting for me and gives me something to work towards as opposed to just chasing failure every time with the same exercises. There is nothing wrong with the latter but I like novelty! I’m planning on alternating this with the Kratos workout every 3 days, so I should average 2 workouts a week. I might increase frequency where appropriate but depends on how I respond to the regimen. I should also mention, I play basketball once per week and try to do one long walk (30min-1hr) per day. What am I eating? Pretty much this twice a day. Mmmmm cold rib eye! Sometimes with eggs or a potato and vegetables. Let me know if you find this interesting. If so, I’ll do more :D.
Great work. Loving this podcast. I have been using hit ever since reading bbs back in 2014. 10 months ago i went vegan and would love for you to do do a show regarding eating vegan. I know Baye isn’t a fan of it and Doug is paleo but there are a lot of great athletes and body builders who are vegan. Hi Kbm – Thank you. Glad you liked the post and podcast. I talk about veganism a little in my interview with Ted Naiman Part 2, which will go live in a couple of weeks. His view is that, it can be done (a vegan diet made healthy), but it’s very challenging vs HFLC, Paleo, vegetarian. I would also say that a lot of athletes and body builders succeed in spite of their diet, and may even do the same if not better on a more whole food/omnivorous approach IMO. Is there anyone specifically, you would like me to interview within the Vegan community? 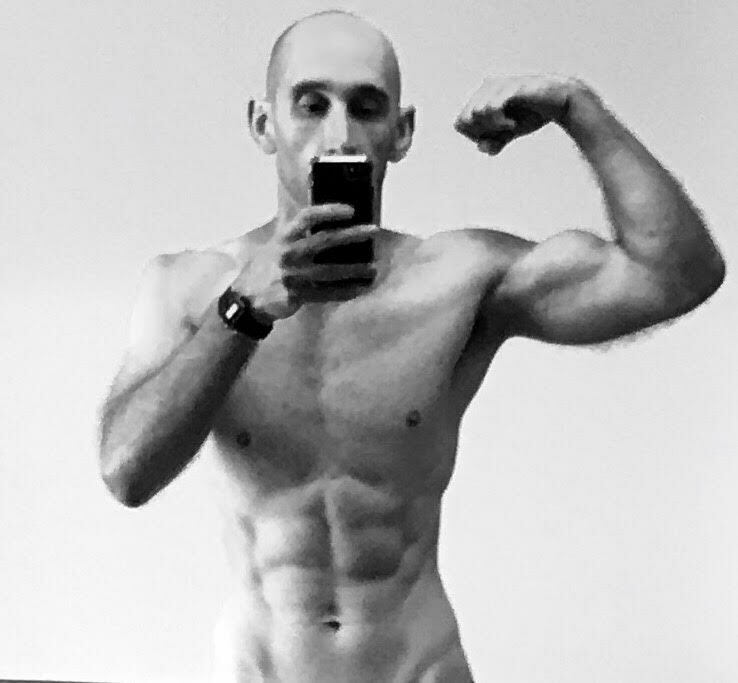 Lawrence, you have definitely stepped up your game… I greatly respect and appreciate the effort you are putting into the podcast… I agree with the challenge and variety body weight training offers… I train my wife at the local gym (usually on a military base) with pretty good machines (she struggles with the body weight thing)… Then I H.I.T. it hard mostly with body weight moves… I will alternate in the overhead press machine or dumbbell shoulder presses… mainly because I suffer from a bit of vertigo…. I have attempted pike press etc, ugly and get very dizzy with a bad case of nausea…. being in my late fifties… a contributing factor? But neither of us are on any medication and are active on a daily basis… for which I am grateful. Thank you so much Ralph. It’s really a lot of fun and the guests do most of the hard work! I have no idea if age has an impact on symptoms of vertigo, but I know what you mean. A handstand push-up or even a half-handstand push-up can make one feel uneasy. I’m still practicing! Sounds like you’re both doing great! 😀 Sorry to learn about your wife’s parents. Where are you living now? Thanks for the reply lawrence. Yeah Michael Greger of nutritionfacts.org would be awesome. Thanks Kbm. Will add to the list. Hi Lawrence, looking good man! :)) Greetings! Honestly, I think that you seem to have you diet figured out pretty well. Do you eat carbs and how many with the “twice a day cold rib eye”? As for diet, currently doing an experiment with two meals a day – breakfast and dinner, with calorie restriction. For 4 months lost about 8 kilos, so from 97, I am 88-89 now, drastically changed appearance and bodyfat. I have no access to dexa scan or anything of sorts, but the pictures are very clear. Strenght seems the same – tested on machines. Hey Kamen, almost every day is the same – intermittent fast till 11-2pm and then eat a ribeye and a 4-egg omelette (cooked in coconut oil) or 2 ribeye, and then dinner is Ribeye with a white potato and sometimes vegetables like broccoli soaked in butter. If I train, I will train at 11 or 12pm and eat an hour or two after but I don’t really care so long as I eat in the same day. Similar to Dr Ted Naiman I practically divorce my eating / exercise relationship. More on this in my part 2 with Ted 😀 coming soon! I went full bodyweight mainly because there are no decent machines in Galway (that I know of). So even if I go to the gym to train (usually I workout from home) I will still do full bodyweight. The second reason is that I am enjoying learning how to increase the difficulty of bodyweight progressively and then knowing I can take that knowledge and get a really effective workout wherever I am and not be reliant on access to good facilities. Nice workout routines. After closer examination, I might steal some tips! I agree that the reason I’ve got leaner is mainly down to calorie reduction with 2 meals rather than 3, and I rarely snack in between. However, because I prioritise protein that really helps satiate me so I don’t feel the urge to eat between meals. Great work on your improved body comp. I would love to see pics. Post here :D. It’s easy to post pictures within a Disqus comment, just click the picture icon in the bottom left. As I see we differ in the diet approach a bit as well. For me brekfast is convenient, because I prepare it myself 99% of the time, when at home (I am the first to wake up), so with it I can be really consistent. So I actually largely control the breakfast intake. Then the dinner is more of a freestyle – generally meat with something, because I can afford it due to great breakfast composition. In anycase I am not “can go to bed hungry guy” 😀 Antoher major difference is, that my protein seems to be about 1-1,2 grams per kilo LBM. I normally eat about 80-90 grams a day. Not a fan of supplements and thus reccomended dosage of 2-2,2 grams per kilogram, always seemed exagerated for me (normally throught the years my BW has been about 97-100 kg at 188 sm, so 200 grams of protein always seemed too much in food). And I am not convinced still if it really is needed (in case that other calories are present ofcourse). Somehow, still not buying the idea of super increased need of protein to repair damage ot training. IMO it is still a microtrauma, not a cut off limb…or severely burned skin… By the way I read somewhere, that severely burned patient needed protein for recovery the most! and for these cases, supplements seem to fit best. Otherwise my protein is combined – eggs, curd(cottage cheese), some meat (usually no more than 200g fresh weight/day). And with the protein/carb/fat ratio, I am also quite more relaxed. May be closest example is The Zone Diet, exept, that I do not stress so much on the glycemic index of foods, but rather on dosage, e.g. more relaxed approach. I eat a piece of bread, even white and I believe it is not a drama. Fascinating Kamen. It’s really cool to learn how your view on diet has evolved over the years, since I imagine you’re far more experience than i at all of this stuff. And also interesting to learn how different things work for different people. 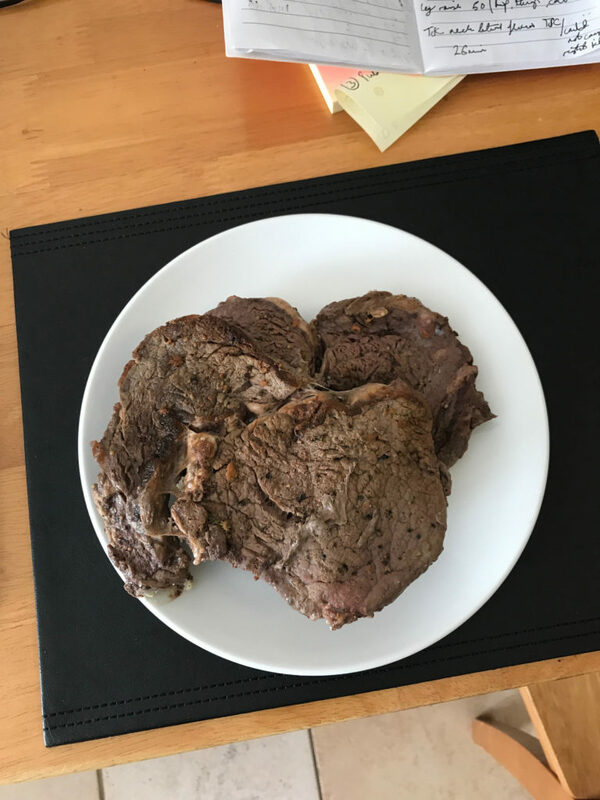 I interviewed Stuart Phillips recently, and he felt that 1.6g of protein per kg of BW was potentially more effective than 1.2g, however any more he considered fairly pointless. I probably eat 1.9-2g per kg of BW. But I don’t measure, weigh, count etc. And I don’t particularly care if one day I get 30g of protein so long as I typically eat enough to hit the 1.5-2g quota. I still eat junk food occasionally. Maybe a cheat meal once or twice per week. Doesn’t seem to make a difference so long as I’m doing intermittent fasting, eating really well the rest of the time and doing HIT 2 times per week and frequent movement. Hey Lawrence, you can easily calculate how much protein from food your taking normally, but as you said, what does it really matter?! I have seen many guys here over the years, that have the genes to be lean and muscular, that are typically on juice and because payed the money for the roids, could not afford to eat decently and guess what? They are still much more lean and muscular than me and they eat very little food in the first place, not to mention protein. I’ve seen this many times, so I think it’s the right catalysator that is required – genes, training, chemicals… etc., whatever, but all the protein in the world would not come even close if you don’t have any of these. My father is an ex swimmer champion. He was very good for his time – mid 60ties. He is now 75. He recently started to train with some light dumbells, push ups… – you can imagine it’s very, very moderate intensity(nothing HIT like), limited number of exercises and short duration sessions… He eats twice a day, very modestly, mostly vegetarian…I guess with age feels better that way and…he actually saw hypertrophy – arms, shoulders and legs mostly 😀 Funny enogh, probably is muscle memory or whatever it is, BUT it surely isn’t increased protein and even calories consumption… So his much older body is capable of increasing muscle on a noticeable rate, when “some” resistance training was induced after years and years of NO training! What about that real life story?! The interview with Mr. Phillips is a new one or is available already?